Let the red continue, shall we? I love colors but I don't wear a lot of red, so I am taking advantage of Chinese New Year and incorporating this fiery color into my outfit! 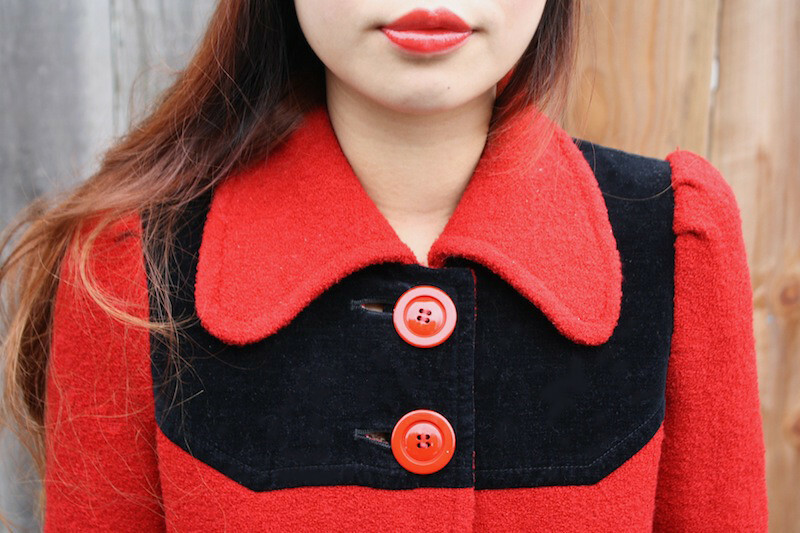 This vintage coat from the 60s has the perfect combination of wool and velvet, the most adorable collar, and the best petite fit! I wore it with black velvet skirt, pointelle knit tights, laced up boots, and the softest vintage rabbit fur hat! Vintage 60s wool and velvet coat by Lamballe from Etsy. Black velvet skirt from F21. Pointelle knit tights from F21. Laced up boots by Breckelle from my work Sway. 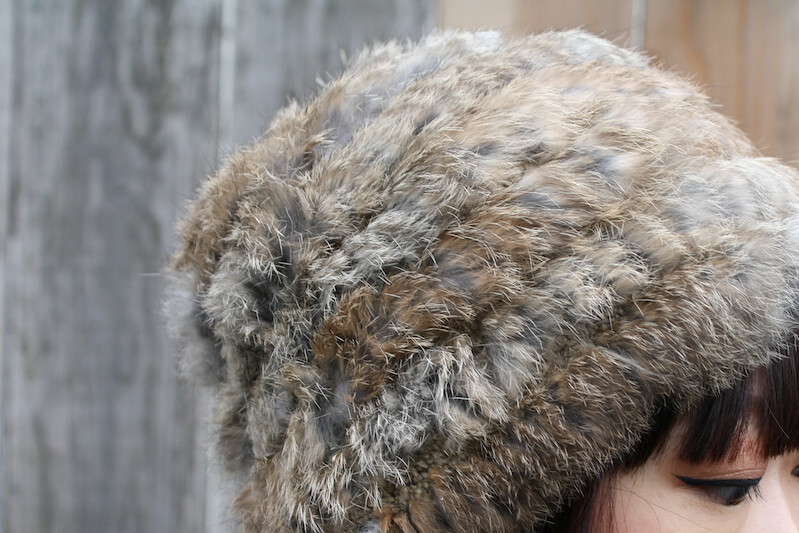 Vintage rabbit fur hat from Hong Kong. Lovely style and your blog is so nice! I like your work! the jacket and hat are the cuuutest! Red is perfect on you, and I muste tell you that I have fallen in love with your gorgeous bag. Your bag and lip color are seriously gorgeous! Hello happy week kend.. Beautiful look is fantastic.